So gluten and moving. These have been the topics of discussion in my home as of late. We are living in the valleys between mountains of boxes and piles of clothes (really didn’t realize I had this many clothes). It has been a little bit overwhelming. Ok a lot overwhelming for all of us. My guys have taken to inventing the new rapper Gludacris and well yes all of those tunes you know and love from our pal Ludacris are now gluten related. It is amusing to say the least and I know it’s as hard for them as it for me so I’m glad that we can at least laugh about it. I have been very blessed with being able to give away and sell things that we had that were extra or double in our home. 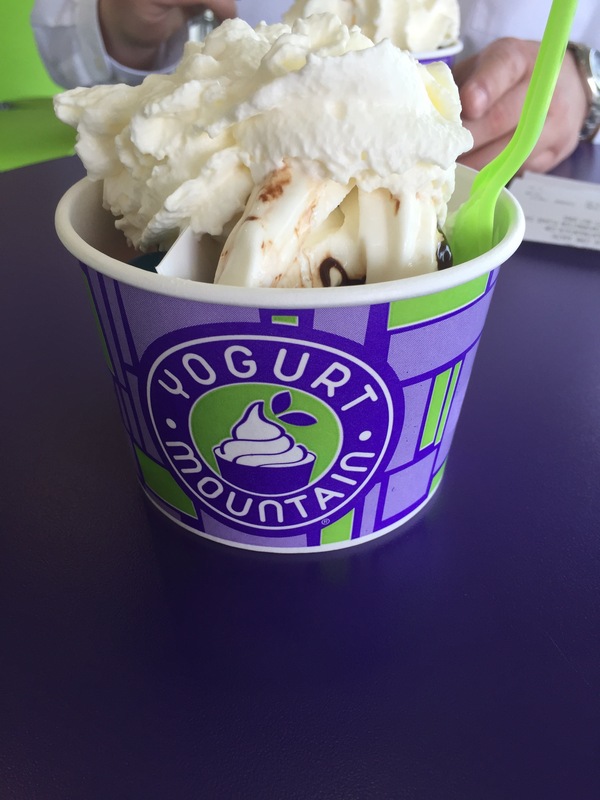 In need of some fun and a nice treat for all of our hard work we decided to make a stop at Yogurt Mountain. This place had the best frozen yogurt and they were kind enough to list on each flavor which were gluten free and which were not. There were of course add ins and toppings that you had to be a little more careful of. 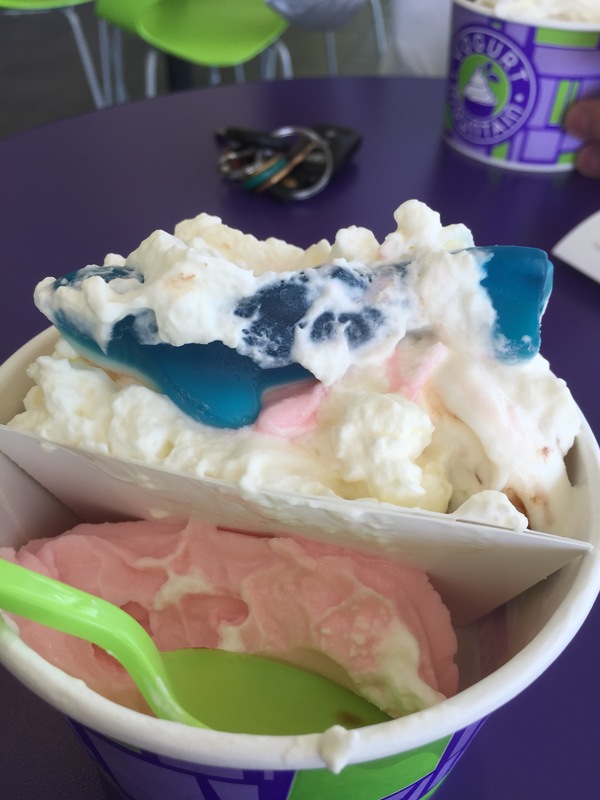 That would be cherry on one side and birthday cake on the other and sadly that whipped cream covered gummy shark (one of my faves) could not be eaten. Google revealed gluten. All in all its been busy and just a little stressful lately but we are making it and looking forward to being under the same roof as a family! < Previous Gluten Gluten, where’s the cereal? Oh so much going on! No gluten is like a lifestyle change. And then moving! Is it working though? Are you feeling better? So much going on for sure. If we didn’t have 8 million things to do we would be lost! Lol! Definitely hard with the lifestyle change but trying hard. And the essential oils I’m trying seem to be helping as well!